This week we went in search of a superior olive oil. Armed with an array of suggestions from consumer reports we picked up two new bottles from Target to compare to our market pantry brand at home. The oils we chose to sample were Colavita and O-Live. 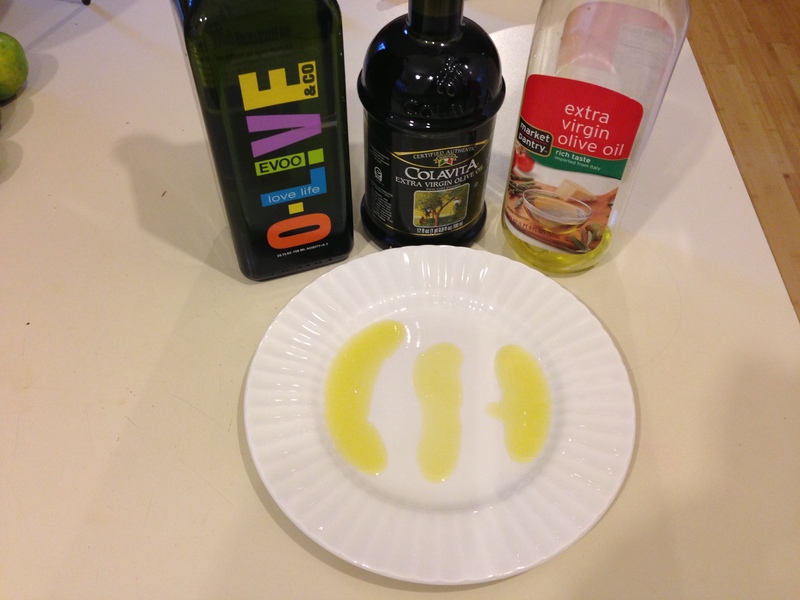 After a quick sampling we decided that we will never buy cheap olive oil again. The O-Live brand was the clear winner with a wonderful rich taste which was pleasing to the palate.